Experienced and Knowledgeable group of local and national agents. Committed to offering top level service while giving back to our clients. Anchor Team has created a valuable network of Realtors who will honor Anchor Teams 15% rebate. 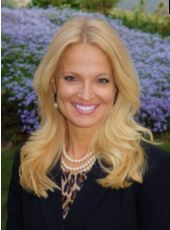 Jeanie Halloran has been serving buyers and sellers in the community for over 11 years. She started her real estate career in 2007 after successfully listing and selling her home in Wilmington, Delaware, as a For Sale By Owner. Jeanie’s success in the sale was a combination of her degree in marketing and design. A career sales professional, Jeanie also had career experience in outside sales in the Delaware, Maryland and Pennsylvania market both selling and training sales representatives. By her third year in real estate, she was leading the Long and Foster office in North East Maryland in sales. The market was quite a challenge at that time, so hard work and dedication were a must. Her compassion for clients struggling with the market recession, and skillfully networking with lenders, attorneys and short sale negotiators on their behalf, quickly established her professionalism in the community. She led the office in sales in 2008 and 2009. An avid boater, Jeanie traveled south on the Chesapeake Bay and settled in Severna Park in 2010. Her active involvement with her community and church have provided tremendous knowledge of the Annapolis area real estate market, schools, neighborhoods, and roadways. The Annapolis area is a wonderful place to live and work for Jeanie and her family. A Marine Mom and Navy Wife, Jeanie brings a strong work ethic, loyalty, and consistency to her clients. Her focus is to take care of and protect them throughout the entire process of buying and selling their home. This devotion to clients and the profession continues to gain acknowledgment. She has been again awarded the top-selling Team at Long and Foster for 2016 and 2017. We decided to put our house on the market and see how things went. The lady I mentioned happened to be Jeanie Halloran a Realtor, so we asked for her help. Long story short, we sold our house in 2 days, went to Colorado for 5 days as we had already planned to stay with friends there, came home and put an offer on another that weekend. We sold, bought, and moved within 5 weeks. Now that’s what I call a good Realtor and a Great God. Not too long after our move, our new realtor friend, Jeanie, asked if I would consider becoming part of her team – The Anchor Team. After much thought and prayer, I chose to say YES!! Now I am working alongside Jeanie, learning daily from her, and thoroughly enjoying my new career. 2017 for me was amazing… a new home, one daughter married her high school sweetheart, another daughter gave birth to our first grand baby and I have a new career. Watch out 2018!! Amy Buchanan is a highly experienced Transaction Coordinator. With over 18+ years in the Real Estate field she has worked in various positions such as Administrative Assistant, Office Manager, Loan Officer Assistant, Listing Manager, Business Manager and House Manager. Amy has personally closed over 1,000 Real Estate Transactions. She enjoys building her family tree on Ancestry.com, reading, traveling, cooking and organizing. Amy is a married mother of 4 teenagers and her husband is a government contractor. She hopes to finish college in the near future. Amanda has practiced the roles of both Transaction Coordinator and Listing Manager. Currently Amanda is working as Listing Manager, helping with Pre-listing to Contract. Amanda studied Business with a Marketing concentration at Queens University of Charlotte and minored in Psychology.